We’re going back to the 80s! Plus, the 70s and 90s! 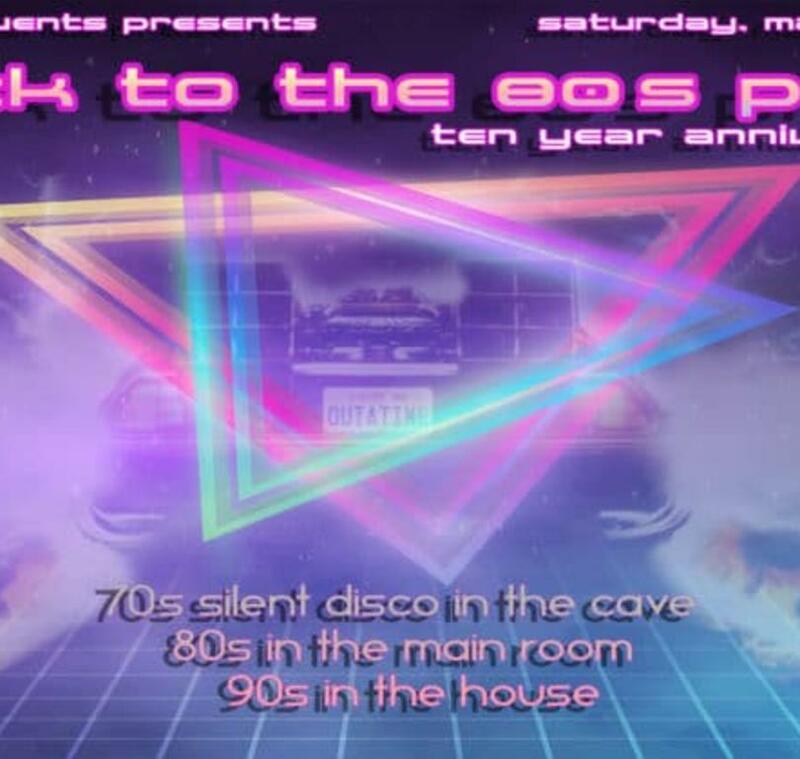 3 rooms to decade hop to help celebrate 10 years of “Back to the 80s Prom” series in Santa Fe! This year we will be celebrating on May, 16, 18, and 19th with all the nostalgia you can handle. And back the third time around is Santa Fe’ own Bella Gigante to not only award the winners of best dressed, but belt out the first dance song. A highlight of the night not to be missed. The previous years’ attendees have really stepped it up! Dress in your best 80s garb! It could mean free tickets to Electrovibe Events events for a year! 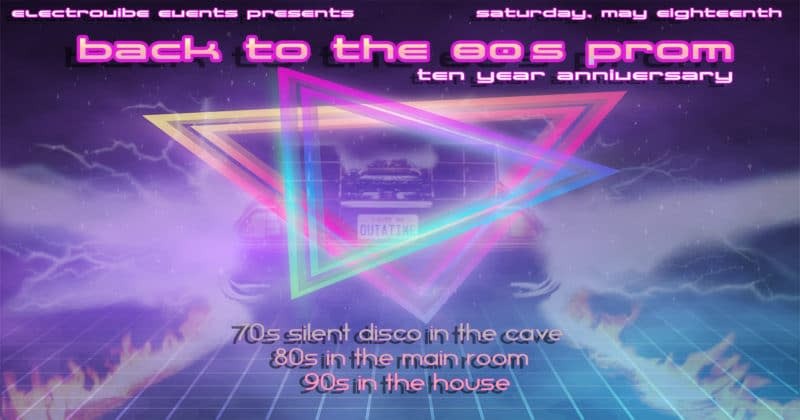 Get that Crimp n’ Curl warmed up and pull those leg warmers up, it’s going to be a radical party. Enjoy 80’s Arcade Games in Wiggy’s ’80s/ 2030s room and Photobooth for all the snaps.